Hey, doll. *Harry walks up to her* Whatcha doing? *Betsy lets out a deep breath* Just chilling, bro. Oh. *Harry sits down on the sand next to her* Aren’t you supposed to be working? I thought you had a ton of stuff you wanted to do. Tons. *Betsy smiles at the sunset* Too much to do and not enough time to do it all. Uh huh. *Harry considers her* Then why aren’t you a little more, well, frantic? *Betsy shrugs* I’ve decided I’m not going to let writing and publishing stress me out anymore. Really? *Harry frowns* You’ve been stressing about that for years. I know, I know. *Betsy lays down on the sand* I think it’s because of the people. *Betsy waves her hand* There are all these people out there saying “do this”, or “don’t do that”, giving their opinions about what they think is right and correct. And when you listen to them, you can forget what it is YOU actually want to do. Or, worse, you wake up and realize your whole life has drifted away because you’ve been busy chasing after what you think you SHOULD do. I’m not going to do that anymore. The thing you love should enhance your life, not steal it, right? 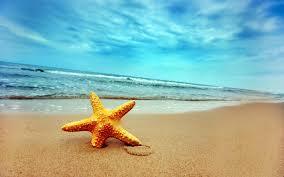 *Harry lays back on the sand* You have to craft your Quest your own way. Yes! *Betsy sits straight and points a finger at Harry* I’m going to live my life my way. And part of that is taking a few minutes to just enjoy. Not always be stressing because I should be doing something else to be successful. Because if you can’t enjoy your life, what’s the point? *Harry yawns* So you wasted all of your time reading blogs and books and whatnot trying to figure out the whole independent writer gig. What? *Harry blinks up at her* You said it yourself. Listening to all those people made you cray-cray. No. *Betsy’s frown deepens* I had to know what I was getting into. I had to research the crap out of the thing. Immerse myself completely. That’s what you have to do if you love something. You have to read everything about it, talk to people, understand the ins and outs, sit at the feet of the darned thing. Maybe for years. *Betsy shrugs* I don’t think there’s a shortcut. I think you have to study everything, learn as much as you can. But then, at some point, the stress of trying to live up to what you think you “should” be doing gets to you. That’s when you have to let it all go and go your own way. So, it’s like when you learn to paint. First, you mimic other painters, and then eventually do your own thing. Right? Right. *Betsy shrugs* It’s the timing that’s kind of sticky. You need to learn. You need to mimic. But then you need to do what you think is right for you. *Harry nods* Because your path is different. Mimic too long and you’ll never be you. Don’t develop your understanding and you’ll never be you. And that goes for the whole deal — writing, publishing, marketing, everything. The whole “being an author” thing. *Betsy frowns* Actually, for the whole “being an anything” thing. *Harry scratches side, then leans back on paws* So, the point of this blog post is to say you’ve decided you’re okay with doing this writing gig your own way, no matter how other people do it? 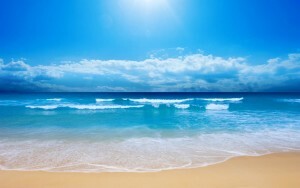 *Betsy lays back on the sand and looks up at the sky* Pretty much. *Harry lays down next to her* And you’re not worried about screwing up? *Betsy shrugs* Kind of. But at least it will be my screw up. *Harry rolls head to look at her* But we’re not stressed? *Betsy grins at him* You got it, little dude. *Harry rolls his eyes* Never call me that again. Much easier said than done, I fear! Great theory, but the follow-through can be rather difficult to maintain. Old habits die hard.